Came flooding into me, from out of the seams. 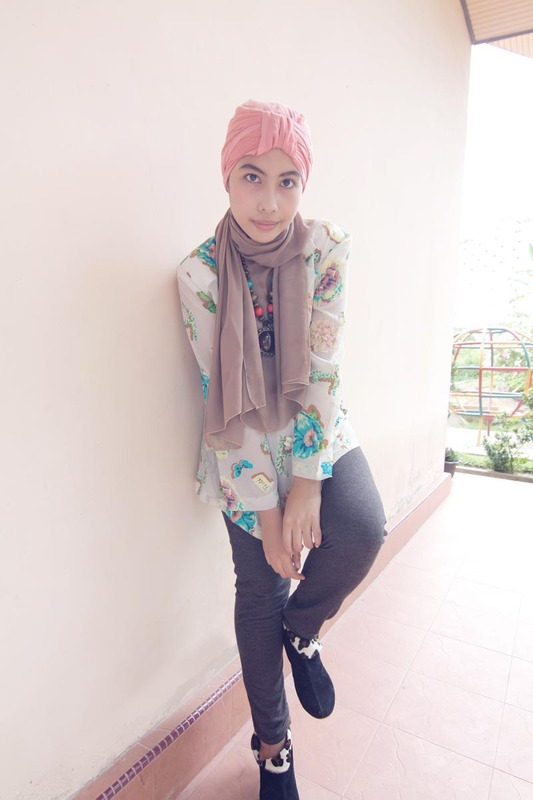 flower topnya lucu.. vintage" gitu..
hey I love the whole look! tumpuk2 tapi ga berat keliatannya ya :)? How do u wrap the turban? you have great sense in fashion! 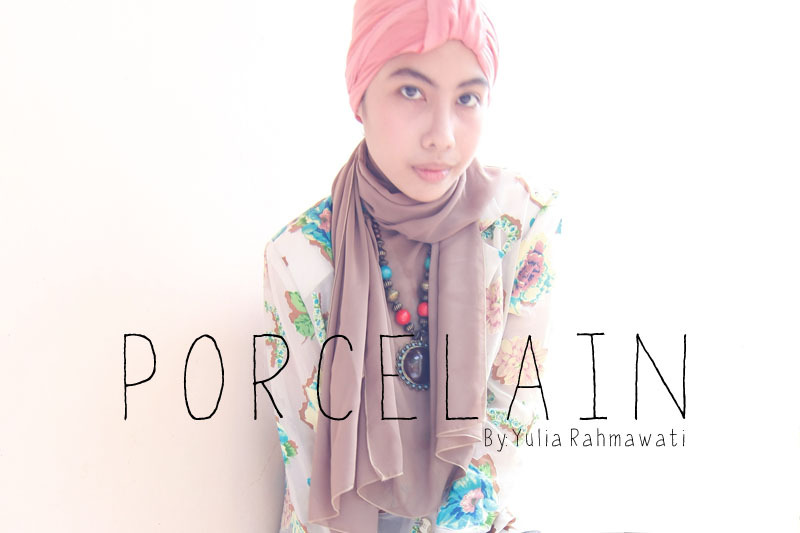 your girly hijab look is definitely stealing the spotlight. Good metaphor, beautiful poem :). And a gorgeous model in very feminine attire which is a treat to the eyes. A performance which deserves respect (__) and is a joy to my male eyes ＼(^o^)／ . I'm not a muslim and therefore I don't wear a Hijab but girl I love your collections! Is it possible to wear them as regular scarfs too?